MENLO PARK, Calif. – As the newest member of the elected board—and vice president—for the Sheet Metal and Air Conditioning Contractors’ National Association (SMACNA), Angela Simon is tackling her new position through job shadowing and mentorship, just as she did when she became a project engineer for California-based Western Allied Mechanical in 1987. She is currently the president of Western Allied Mechanical and was awarded SMACNA’s 2016 Contractor of the Year Award, in part for her work as a mentor for young workers. 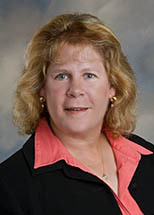 Simon was the first woman to serve on SMACNA’s board of directors, from 2007 to 2011. She will become SMACNA president in October 2019. Yet Simon never thought of herself as a pioneer. Simon has spent much of her career supporting women’s involvement in the industry and has served as the co-chair of SMACNA’s Women in Construction Leadership Council. It’s not just management that values Simon’s approach, according to Victor Torreano, business representative for the Sheet Metal, Air, Rail and Transportation Workers (SMART) Local No. 104 in South County/San Mateo. For example, under Simon’s leadership, Western Allied Mechanical has taken a measured approach to going after work. “She keeps crews working consistently, which isn’t common in construction. The company doesn’t go up and down with the economy. They’re choosey about what they take,” Torreano said. Simon believes that it comes down to teamwork—a skill she learned as a softball player. The Sheet Metal and Air Conditioning Contractors’ National Association (SMACNA) is an international trade association representing 3,500 contributing contractor firms. The association works together with the International Association of Sheet Metal, Air, Rail and Transportation Workers (SMART) to promote quality and excellence in the sheet metal and air conditioning industry. Management and labor have been working together as Partners in Progress for more than 75 years. For additional information, visit www.pinp.org.